We need you! Really! Take your gun, join your team and start to shoot. 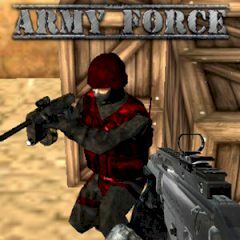 Just sink into the world of real shooting game, where you will have to survive and kill all the enemies! Just try it and you will be the best hero! We wish you good luck. Here you will dive deep into this awesome 3D multi player first person shooting game, where you can check all your shooting skills and check how cool you are! So, your mission is to shoot daunting opposing soldiers. By the way, no matter what game mode you choose you can use a wide variety of lethal weapons to defeat your enemy forces online, just have faith in yourself and protect your territory and yourself. Take your gun and shoot! Everything depends on you! Just show us that you are the real warrior.